When the slide for the Jackson Free Press' entry in the Public Service category came up, I saw our name aside the others in the category—Colorado Springs Independent; The Athens (Ga.) Flagpole; and Portland (Ore.) Mercury—and started willing the JFP's name to turn yellow, which is how they announced the winner in each category. It did, and Donna got up to take the stage and accept the award with the obligatory laugh about a paper from Jackson "Mississippi?!" winning the award. That win in Public Service for the "A Hunger to Live: Interrupting Violence in Jackson, Miss." series of articles, issues and illustrations—which Donna shares with Arielle Dreher, Imani Khayyam, Tim Summers Jr., Sierra Mannie, Maya Miller, Marzavier Harrington and Kristin Brenemen—capped a nice year of wins both for the Jackson Free Press and for that particular series of stories. In the AAN awards, which are national, Donna also won First Place for her political columns about her expose and impact of Gov. Phil Bryant's "Confederate Heritage Month" support, HB 1523 and District Attorney Robert Smith's trials. Writer Sierra Mannie won Second Place in the Race Reporting category for her cover story about Ridgeland's demographic struggles. In yet another competition—the Associated Press Louisiana/Mississippi awards for work published in 2016—Donna and photographer Imani Khayyam won first place in Division One in the Investigative/Public Service series for the "Hunger to Live" series. AP also awarded the JFP a First Place for editorials. I point all this out to say, first of all, congratulations to the JFP staff on these recognitions for a lot of hard work. Those of you who have read the Jackson Free Press for a long time know that Donna Ladd and her editorial team are going to deliver on the awards each year—this one has been the JFP's biggest awards year yet in part because of Donna's emphasis has put on crime and policing reporting in Jackson and elsewhere, including New York City. It's worth noting that this series was supported by two Solutions Journalism Network grants, two fellowships from the John Jay College of Criminal Justice and more generally by the W.K. Kellogg Foundation in so far as it gave Donna a three-year leadership fellowship that helped her connect with research and sources with her goal of improving the media narrative about young people in our state and the nation. The other reason I bring it up is because being in Washington, D.C., made this series that much more poignant on a couple of levels. First, we were at our annual convention with so many other people dedicated to the sort of journalism that uncovers local problems and, increasingly, seeks the solutions to those problems. That means it's a nice reminder of why people like Donna and her team are in this business, and what we hope our readers and local community get out of it. Second, it was a particularly poignant weekend for this work to be honored given that Donald Trump, at a campaign-rally-like appearance in New York, told the police there that they should be "less nice" when they're arresting immigrants or suspected gang members. In protracted comments that included the phrase "paddy wagon," our current White House occupant encouraged the cops to run suspects' heads into door frames as they were being put in the back of a police car. While I don't expect particularly insightful comments from Donald Trump on much of anything—much less criminal justice—the truth is that a lot of good people are working on the actual solutions to violent crime in this country. Many, like Donna and her team, are looking at it through the long lens of how we make the lives of young people in underprivileged circumstances more encouraging and rewarding so they don't turn to violence or drug sales or other gang or crew activity. There are much better solutions than "round them up" and "bang their heads on the car frame." Real solutions start with understanding how we got to where we are—what's systemic about the problem—and what the best practices are for interrupting violence and setting young people on a better path with the full support of responsible and invested adults in their community. Those solutions involve more than simply dealing with the violence in front of us and extend to re-investing in our community's infrastructure, education and business community. Looking at the historical and structural inequity in this country—not to mention in this state and the Jackson metro area—is not just looking into a past we want to forget. It's an important part of the process of rebuilding the American Dream so that more people have the opportunity they need for upward mobility. 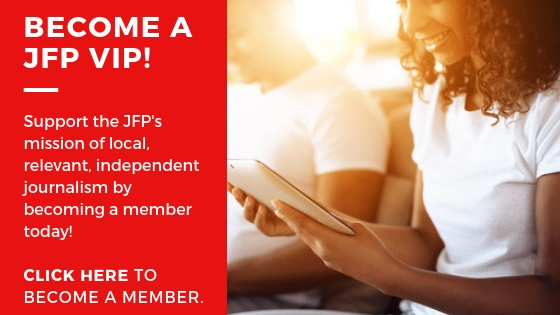 As we approach JFP's 15th anniversary, we hope that you'll support this sort of deep coverage (and all the other great stuff our staff does such as events coverage, local business coverage, music and nightlife) by reading the JFP, advertising, shopping with our partners, and joining whenever you can to move this city and state forward. One way is to attend the One-on-One talk on Aug. 14 at Millsaps College in the Ford Academic Complex, Room 215, at 6 p.m. Donna will be chatting with FBI Special Agent in Charge Christopher Freeze about his ideas for reducing violence in the Jackson metro. Please join us. 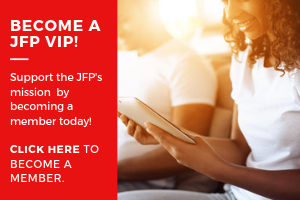 Read the JFP's full award-winning and ongoing "Preventing Violence" series at jfp.ms/preventingviolence. Congrats to Staff and Freelancers: It’s Award Season!